In this section you can learn more about the science conducted at EastGRIP. 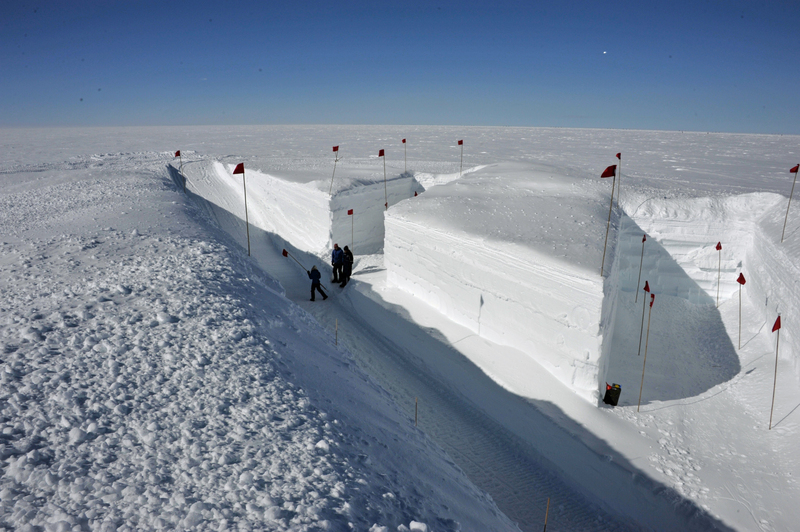 Ice core drilling in Greenland was initiated in 1955 and since then numerous of short ice cores and several deep ice cores have been retrieved from the Greenland Ice Sheet. 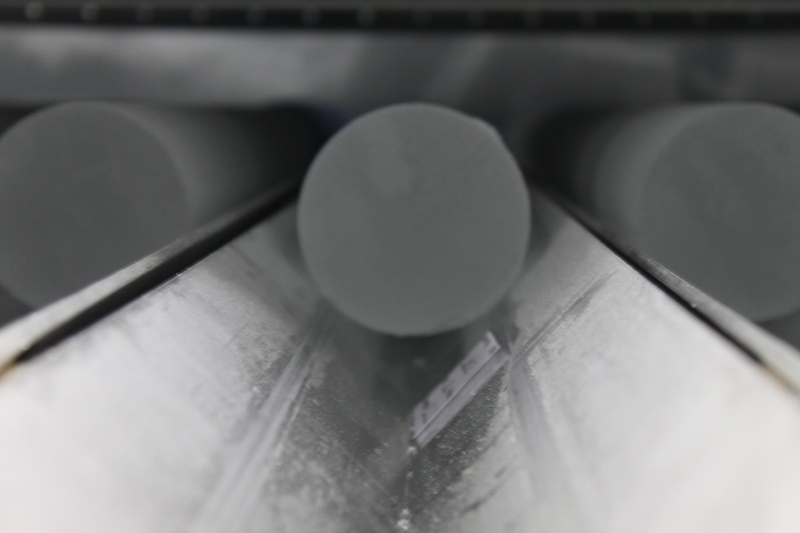 At EastGRIP we aim to drill an ice core through more than 2550m of ice. 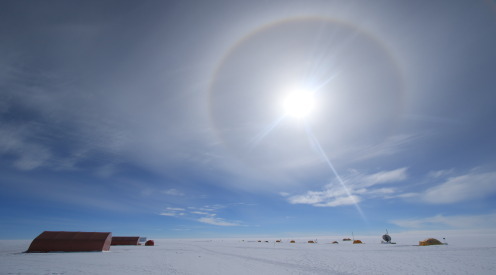 The ice core can provide us with a range of information both on the dynamics of the ice (how the ice 'behaves') and on past climate (temperature, greenhouse gas concentration, vulcanic eruptions etc.). 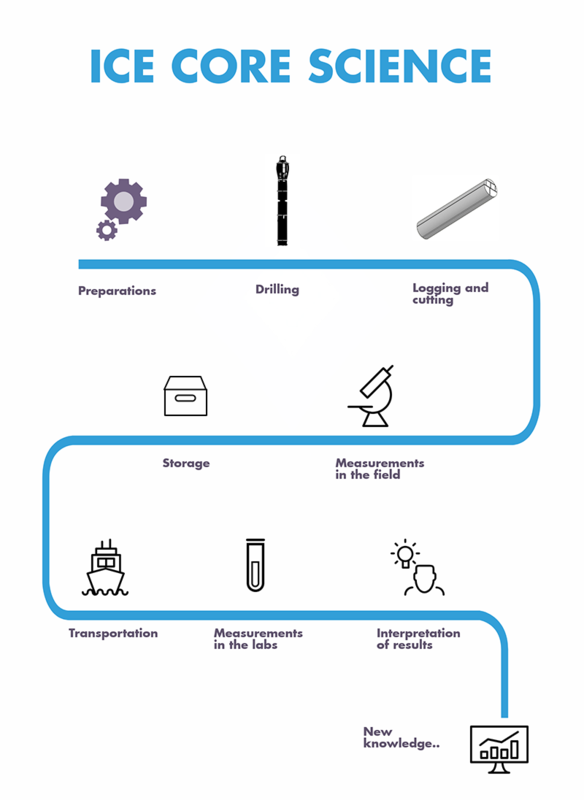 Below you can click on the interactive map to learn more about how we drill the ice core, the following (laboratory) analyzes and the knowledge that can be derived from the measurements. 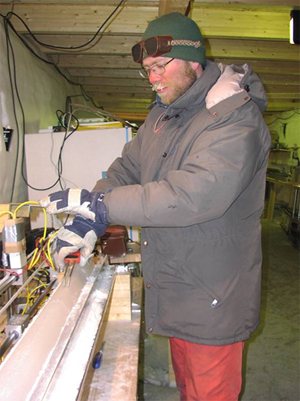 In addition to drilling the main ice core through an ice sheet measuring more than 2500m, a range of other projects and measurements are also conducted at the site, this including drilling of short ice cores (shallow drilling), a range of measurements on the surface of the snow (e.g. snow accumulation, vapour and gas content and radiation), drone measurements, radar measurements and much more.